As self-proclaimed sheet mask connoisseurs, we're always on the hunt for sheet masks that hold the promise of skin perfection in a packet. We love the convenience factor and how they leave the skin feeling hydrated and nourished, perfect for going about the rest of the day or giving your makeup prep an extra boost. Founded by an esthetician, Let Me Skin is a brand whose top priority is making professional grade products accessible to everybody, bringing the salon experience to the comfort of your own home. 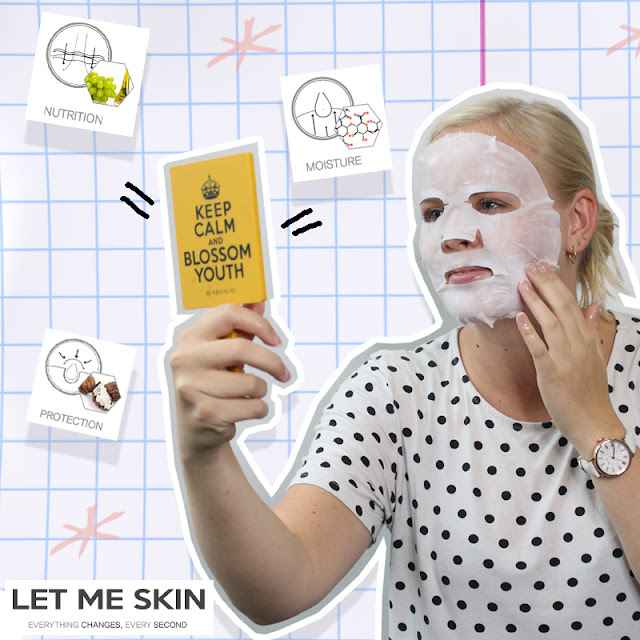 We've recently acquired a (human) Danish Swan and have looped her in to our sheet mask experiments, making her the perfect candidate for when we got our hands on Let Me Skin's Ultra Moisture Cream Mask. 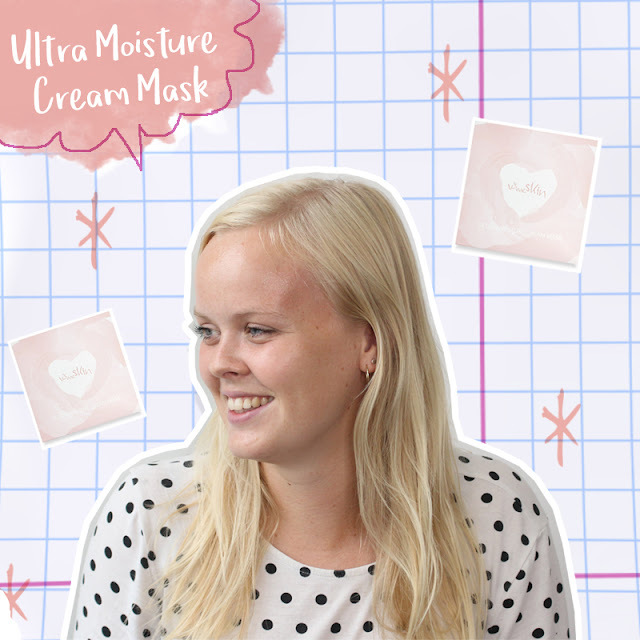 The Ultra Moisture Cream Mask claims to be the ultimate cure for dry, irritated skin. This mask is overflowing with a creamy essence that's infused with shea butter, grapeseed oil and sodium hyaluronate, the perfect cocktail to nourish and deeply moisturize while creating a protective hydration barrier for the complexion. The sheet itself felt flexible but not fragile, making it great for stretching over different face shapes. On clean, toned skin, open up the mask and apply onto the skin following the pattern. Allow to sit for 20-30 minutes before removing and patting in the remaining essence. The mask was super creamy, soft and lovely on the skin! It felt very moisturizing and left my skin very hydrated and soft. However, it left a slightly oily film on my skin, even after a couple of hours after I removed the mask. It'd be great for those with super dry skin to drink right up! 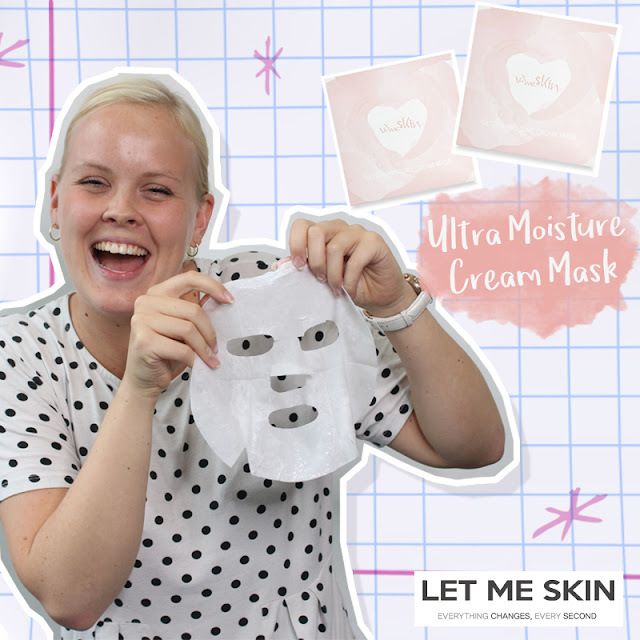 We love Let Me Skin's Ultra Moisture Cream Masks for days when our skin is bone dry and need some moisture ASAP. It's super chic packaging is a nice added bonus too (we love pink things!). 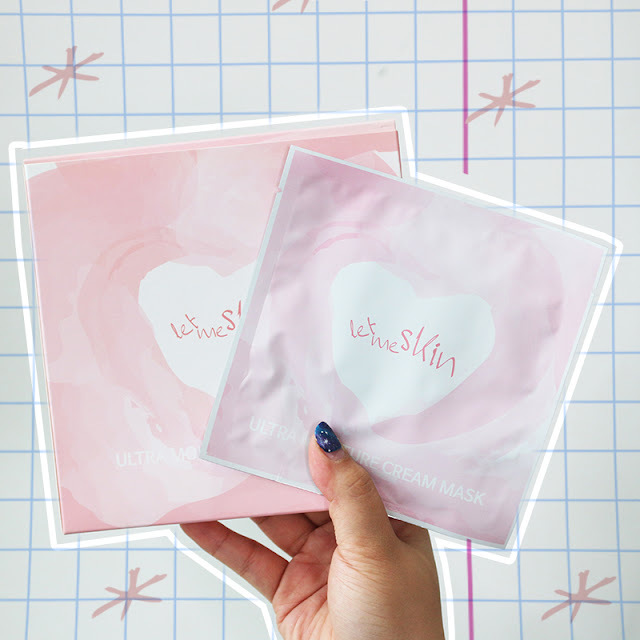 What do you guys think of these sheet masks? Do you think they're worth the buy? Let us know in the comments down below! I love face masks especially Korean masks. Aside from it's other benefits, mask time is really a for of relaxation from stress. As for me, I always look for masks that are great for acne-prone like me that will help in healing or avoiding pimples aside feom giving it's moisturizing effect. Good thing Althea has so so many masks to choose feom..that I myself don't know which one to pick! Lol!